We did a LIVE podcast episode and answered some questions fro listeners. 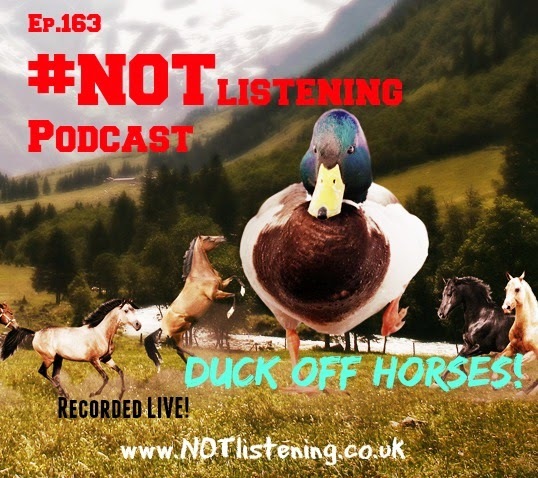 In the latest | #NOTlistening Episode 163 - Duck off Horses! | the guys returned as ALL THREE sat down and recorded a show......LIVE!. Adam, Will and Ash did a Special LIVE Q and A episode and answered some random questions from Listeners via Twitter. Covering such topics such as "Dream Podcast Guest", "Best thing about living in Essex" and even why the term "Panini annoys Will"
Take a Listen to this Special Episode. 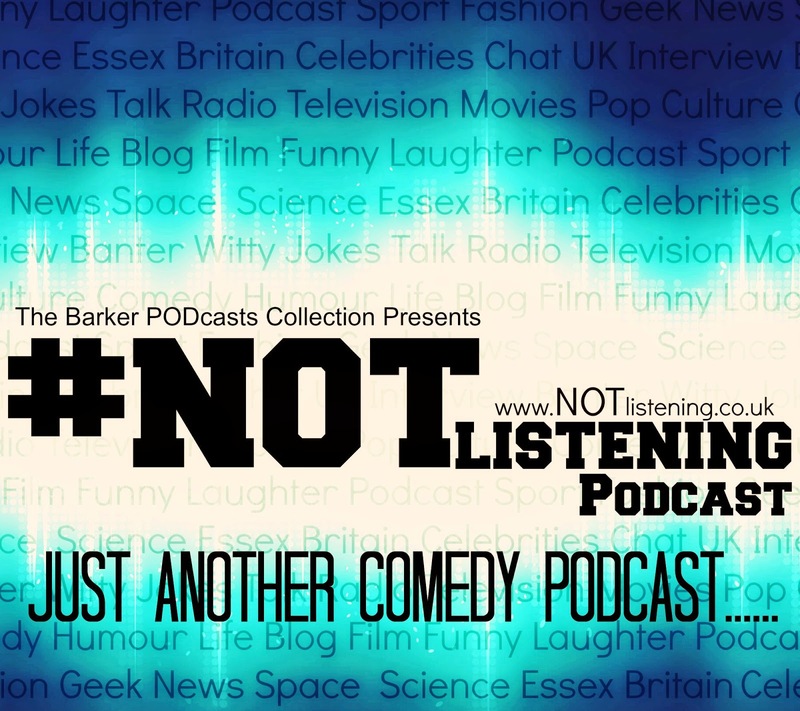 The #NOTlistening Podcast is taking a slight longer break from usual episodes whilst we fine tune and iron out some BRAND NEW ideas and BRAND NEW material. We have lots of exciting features and segments that will take the comedy of the whole podcast to another level. We are all very much looking forward to this new direction in the podcast and hope you stick around to witness this evolution.